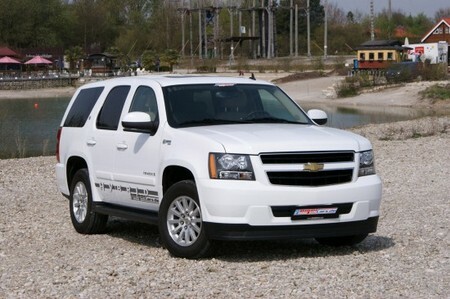 German tuner GeigerCars has modified the Chevrolet Tahoe Hybrid, but not exactly in the way you expect! This big American SUV is powered by a hybrid powertrain consisting of 6.0-Liter V8 and an electric motor, developing 332 horsepower at 5,100 rpm and 498 Nm at 4.100 rpm, with average fuel consumption of 11 liters of fuel in 100 km. Now what Geiger does, is add a third element, along with the petrol and electricity, to the range of the car’s sources of power. They modify the engine so it can use LPG. Like so the average mileage of the car is increased (thanks to a 109 liters LPG tank) and after all, liquid gas burns much cleaner than petrol. The price? Well, it’s 56,000 euros for the initial car, and 4000 for the LPG kit.